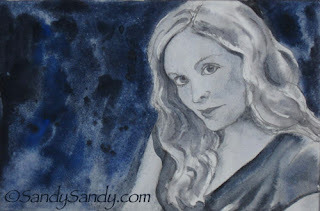 Today I put some wash on yesterday's drawing. 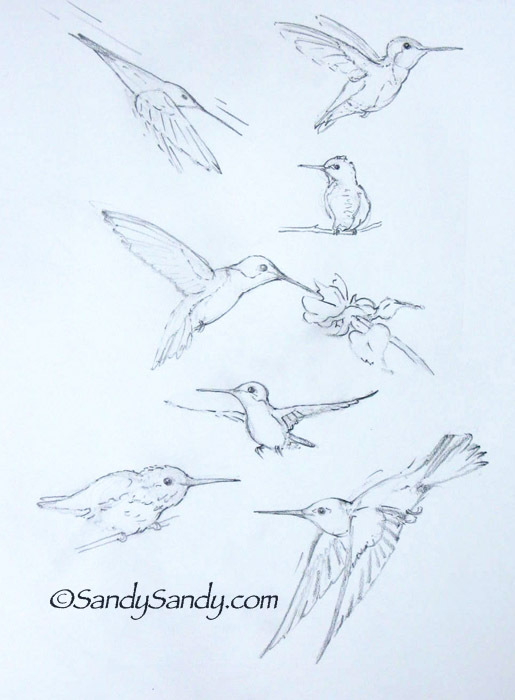 And did a page of hummingbird gesture drawings. 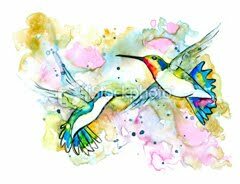 What a transformation to an already lovely sketch to the watercolor with the lady!!! 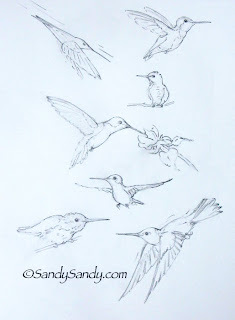 Love your hummingbird sketches.......have always loved your hummingbirds!!! 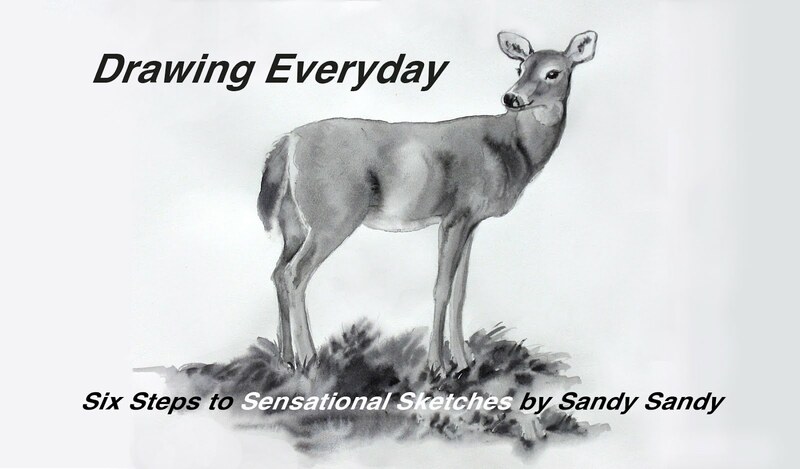 I think they are what grabbed me or how I came to find your site to begin with. I'm suffering art withdrawal after three super busy days between work and home. I need to get busy!!! As always, your encouragement and feedback is greatly appreciated Susan! Thank you so much. It's really nice to know you. Kindred Spirits we are - for sure.